Susan Poplaski (right) stands with ella health technologist Collen Curcio durign a recent visit to ella health. grandchildren, it can be hard to fit an extra appointment into the schedule.Susan, 69, has been diligent about getting an annual breast cancer screening exam since she turned 40. Her friend, Carol, was overdue but wasn’t planning on having the procedure anytime soon. That is, until she walked into the center. 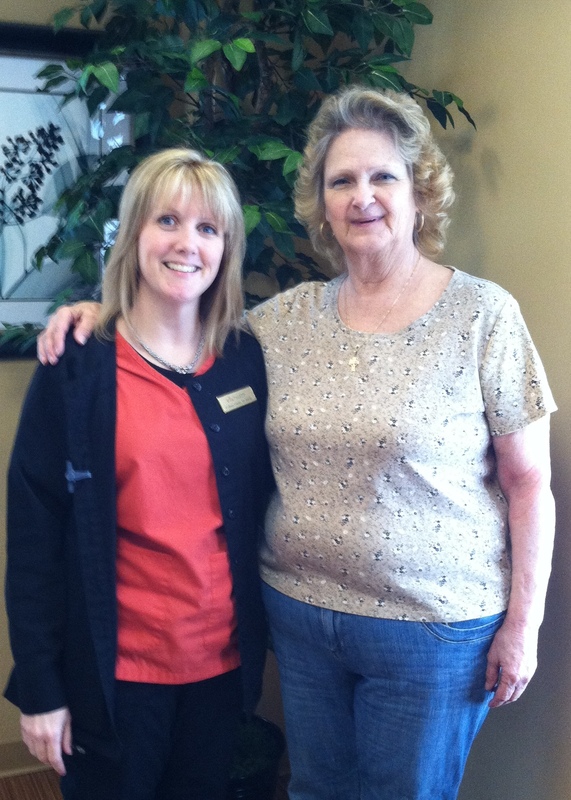 The staff was so friendly and the center so comfortable that she decided to see if she could get one too. She stopped upstairs at her doctor’s office upstairs at the North Dover Associates to make the arrangements. Within a short time, she had also gotten her mammogram done and the two were off to the restaurant. Susan said she is thrilled that her friend finally got the exam and she hopes to encourage other women to take care of themselves as well. She said she is particularly impressed with how ella takes care of patients. “It’s a very comforting experience,” she said.